In the best of all possible worlds, that's his actual hair. It was a semi-random connection. In fact, I can't even remember what I was studying, but suddenly, I was reading Gottfried Wilhelm von Leibniz. Ah, the joys of being a small church pastor. Leibniz, in the event that you don't regularly come across him on TMZ, was one of the most brilliant minds of the early modern era. He was a seventeenth century philosopher and mathematician, and was notable for, among other things, inventing calculus at exactly the same time Newton did. Because, you know, he needed it. That, and he developed a binary logic system, the conceptual precursor of all modern computing. He was also a deeply committed Christian, and what had caught my eye was the name of a "proof" for God's creative handiwork, something that's popularly called "the best of all possible worlds" argument. That argument, roughly, was that our world was the best of all possible worlds. 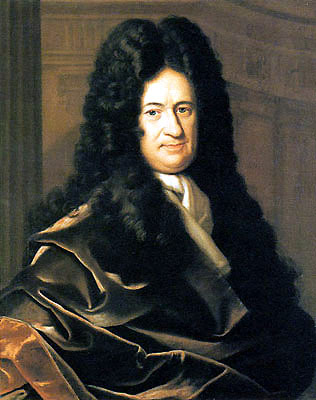 Everything about our world had been designed optimally, Leibniz suggested, even the difficult things. Challenges existed to create strength. Struggle and suffering existed to create courage and endurance. The Department of Motor Vehicles existed to instill patience. And so forth. This argument for divine beneficence doesn't really hold, not if you look at the dynamics of our little species. Holocausts and wars and a cornucopia of petty unnecessary human cruelties are far too deep a blight on our world to imagine that this is the best possible thing that could exist. When Voltaire launched his ultimately successful challenge to this assumption, that was kinda the point he drove home. Yet the cosmology that Leibniz felt undergirded his "best possible world" argument was startlingly contemporary. The universe, he suggested, was not just one single necessary reality. It was, instead, just one possible universe. In the mind of God lay the knowledge of every other possible thing that might conceivably exist, every probable outcome, and every variant iteration of every sentient being. The mind of God, as Leibniz would have it, contained the vision of the multiverse. This, from the co-creator of calculus. Dude. Leibniz thought, of course, that the only world made "real" was our own. That meant it was, by necessity, the best. The rest remained unspoken by God, like a story untold, or a book conceptualized but not written. I don't agree there, as our understanding of the cosmos points more and more to a wildly richer, deeper, and nonlinear creation. But then again, I honestly don't know that the actual, physical, and material existence of other universes makes them any more accessible. The best possible universe we will ever know is the one we inhabit, after all. It's what gives such existential weight to our choices, and what makes grace so very, very important.